Welcome to the Bookworm's Cave: Jan Morris, Contact! 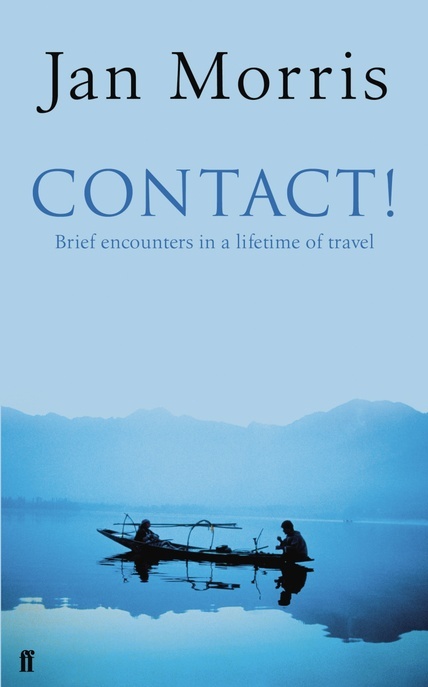 If I hadn't read 50 Years of Europe - An Album, I would have loved Contact!. As it is, I feel somewhat cheated. But let me explain. Contact! is a collection of literary snapshots collected by Jan Morris during her long and impressive life as a travel writer. My goodness, that woman has been to everywhere! Pieces gathered in this volume are pretty short, half a page, a page at most. They document fleeting moments, tiny interactions of which the Welsh author must have collected thousands in her journeys. Why oh why, then, she's recycling material already published elsewhere? Reading Contact!, I was haunted by a powerful sense of deja vu. I've read those stories before - in the abovementioned collection. Not all of them, sure. Some, maybe most, are lovely and fresh. Yet, if I actually had bought the book (once again, library proved to be my friend), I would've felt taken for a ride. This tiny mishap aside, the book is quite delicious. As the title suggests, it is focused on people that Morris encountered on the road, all over the world. Not necessarily friends, often strangers, observed, eavesdropped on, imagined. Yes, Morris's imagination is a potent ingredient in this mixture. A single image is enough to start the story off, and the rest is the author's creation. If Contact! is a book of pictures, then they are heavily photoshopped. Still, she's skillful in adding her modifications. Images that emerge are not vulgar or fake, but tinged with poetic vision. The bite-sized tales from awe-inspiring multitude of destinations blend together into an enchanting mosaic, full of colour, life and eccentricity. 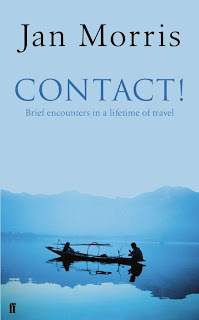 Despite the deja vu, reading Contact! was a pleasure.